Anyone encroaching inside that safe passing distance – widely considered to be a minimum of 1.5 metres – runs the risk of being prosecuted for driving without due care and attention. The West Midlands pilot saw police officers saddle up on some of the busiest routes looking out for motorists who put cyclists at-risk. They radio ahead the details of close-pass drivers for in-car colleagues to stop drivers, who are then offered a little spot of roadside educational input on safe overtaking. Repeat offenders, or anyone deemed to have driven dangerously close to a cyclist, can expect to be prosecuted and taken to court. West Midlands Police kindly provided me with details of the numbers of drivers in various age ranges who had been stopped over a one-year period. I have compared those figures with the ages of those who pass their driving tests over a similar one-year period. You can see the results in the table above. Around 65 per cent of those passing their driving tests are aged under 25, yet fewer than two per cent of those stopped for riding too close were in that age range. Of those stopped for driving too close, nearly 23 per cent were over 60. That age group makes up about 0.2 per cent of those passing a driving test. 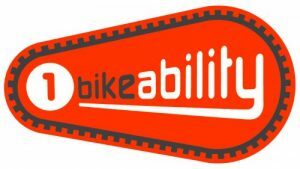 This scheme targeting ADIs is a waste of money because ADIs are doing a fantastic job of teaching new drivers how to deal with vulnerable road users. It’s just a shame that the previous generation going back a few decades didn’t do the same… or that our drivers forget what we teach them as time passes by. The theory test carries enough questions on how drivers should deal with vulnerable road users to ensure they have the correct knowledge base – and that’s why so few novice drivers are featuring in the police lists. Today’s young people are much more aware of others and do not have the built-in inclination, often found in older generations, to bully others because of their race, their colour, their sexuality – or the mode of transport they use (a crushing point for those older readers; the younger generation are perhaps more decent and tolerant than ours). 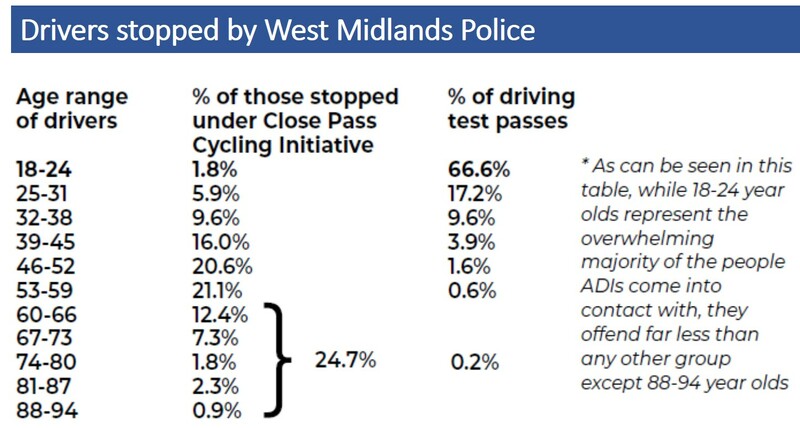 Another interesting figure from West Midlands Police; of those stopped for close passing, 65 per cent were males and 35 percent females. So here’s my two-pennyworth. I’d suggest this cash is poorly targeted; it’s not the younger learners we need to chat to, and certainly not the younger female drivers, but older (45+) blokes. Are you listening, Mr Norman? Put Brexit fun and games to one side for a moment and redirect the cash to an over forty fives driver-education scheme. Next Post What might 2019 bring?